The latest release of GALAXY RECZ is collaboration work from Valentin & AKI Amano. Valentin from Norway keeps releasing beautiful progressive tracks from WeRecommendRecords. and after that he keeps releasing from progressive labels such as Round Triangle,Lohit. His “Recollections” from GALAXY RECZ was supported by Solarstone、Jaytech、Darin Epsilon etc. 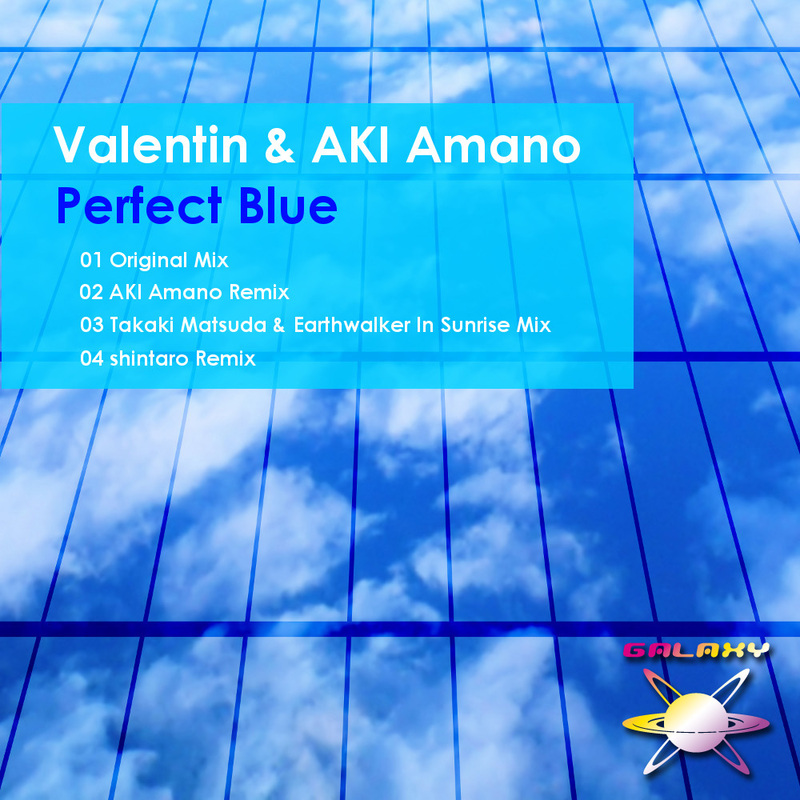 “Perfect Blue” has bright dazzling melody, and magnificent break. This EP includes three remixes by AKI Amano, Takaki Matsuda & Earthwalker, shintaro. All tracks in this EP has peace of mind and deep emotion. Beautiful package! Every mix here is quality. I think this is one of my favorite Galaxy releases to date. very good melody lines!! I support AKI Amano rmx. it’s so calm but groovy. wanna listen in fine morning. Thanks! If Ferry supports you we’ll let you know. Sweet tune, reminds me of the Orbital song Belfast. Really nice package! I try it. Thanks for great music! A very classy and melodic package! Exactly perfect blue! Nice summer tunes. Check Global DJ Tracklist on wwww.markusschulz.com for spins. Will try Takaki & Matsuda mixes ,thanks! shintaro Remix is very interesting!! Good tune! !